I used to think something was wrong with my face. When I was a child, my glasses would always slide down my nose. No matter what I did I could not find frames that fit me properly, and it made me think that the problem was with my face. It was an awful feeling. When I first started TC CHARTON, I was determined to do whatever I could to prevent other children from having those same feelings. I recently had a very long conversation with Mark Shupnick, an optician with over 40 years of experience in his field. He is going to be giving a lecture about the importance of children’s eye care at the upcoming Vision Expo West in Las Vegas, and had a lot of interesting things to say on the topic. As a mother of three, this is something that I have always been concerned about. We are noticing that more and more children, especially among the Asian population, become far-sighted. Most eye care professionals blame prolonged use of electronic devices and the lack of outdoor activities. When children can’t see well, they simply cannot read and learn accordingly. Moreover, a child that wears a pair of frames that keeps sliding down means their vision is not being properly corrected. Making sure that children take annual eye exams, wear glasses that stay put, and protect their eyes from harmful UV rays while outdoors are simple ways to correct their vision. A lot of parents are only vaguely aware of this issue, which is why it is so important for people like Mark to spread awareness. Hopefully the opticians, once informed, will pass on the message, and I want to do my part as well. 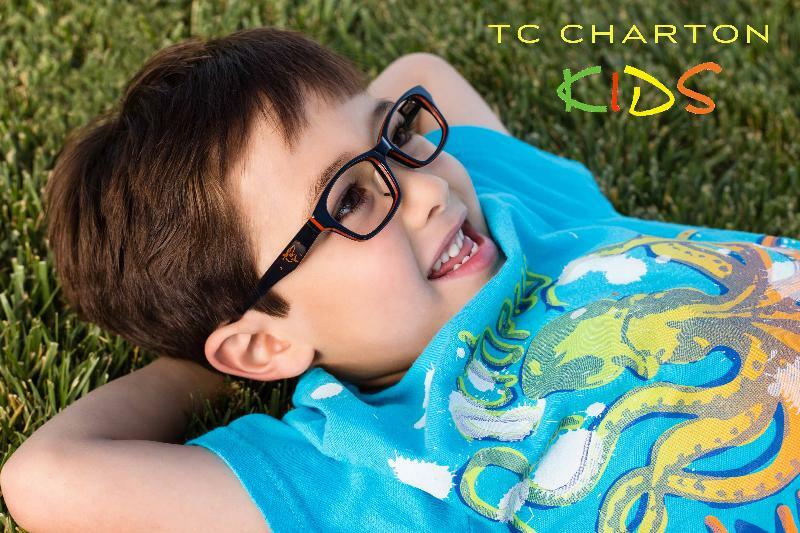 As far as I know, TC CHARTON is the only collection that offers an entire line of kids and teen Asian-fit frames. I feel that it is very important to not only give them glasses that fit properly early on, but to also provide them with many styles to express themselves with. That being said, I am often asked why I don’t offer sunglasses for children. There are a few reasons for this. Our frames and sunglasses are made with the highest-quality materials we can find, but a lot of parents are worried that their children will break or lose them. I already lowered our kids and teens prices substantially in an effort to encourage parents to give their children the right fit, but while most parents recognize the benefits of our frames, they would still be reluctant to give them sunglasses at a higher price point. To those parents, I often suggest an alternative solution: fitting their TC frames with transition lenses. 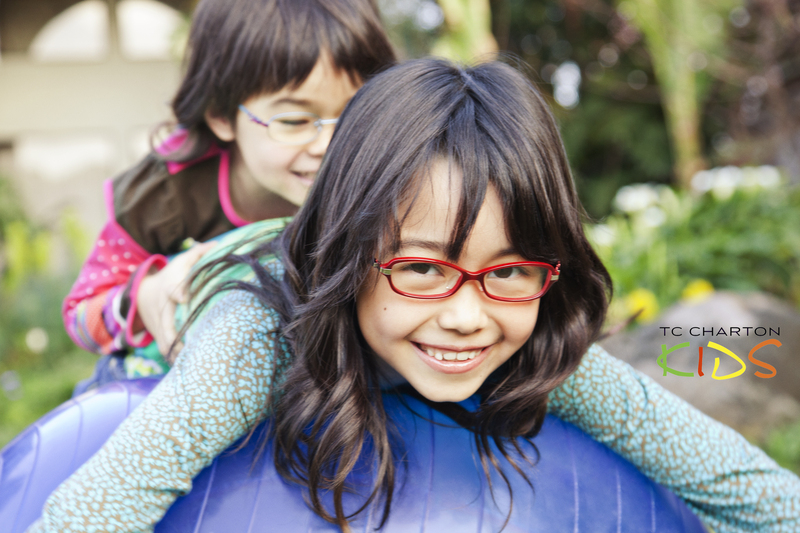 Transition lenses change from light to dark in the sunlight, so the child can wear their frames both indoors and outdoors without any problems. This saves the parents from buying two different frames, and means the child doesn’t have to keep track of multiple pairs of glasses. Just doing something this simple can make a big difference. I grew up dealing with frames that never fit my Asian bridge. It was frustrating and made me feel inadequate. As a mother, I do not wish any child to EVER have to feel this way. As members of the eye care community, people like Mark and I must do everything we can to raise awareness on this topic. Please, if you are a parent, make sure to give your children regular eye exams. Don’t be afraid to spend a little bit more for frames that can actually stay on their bridge, and please fit them with transition lenses. The eyes of your children will thank you for it.